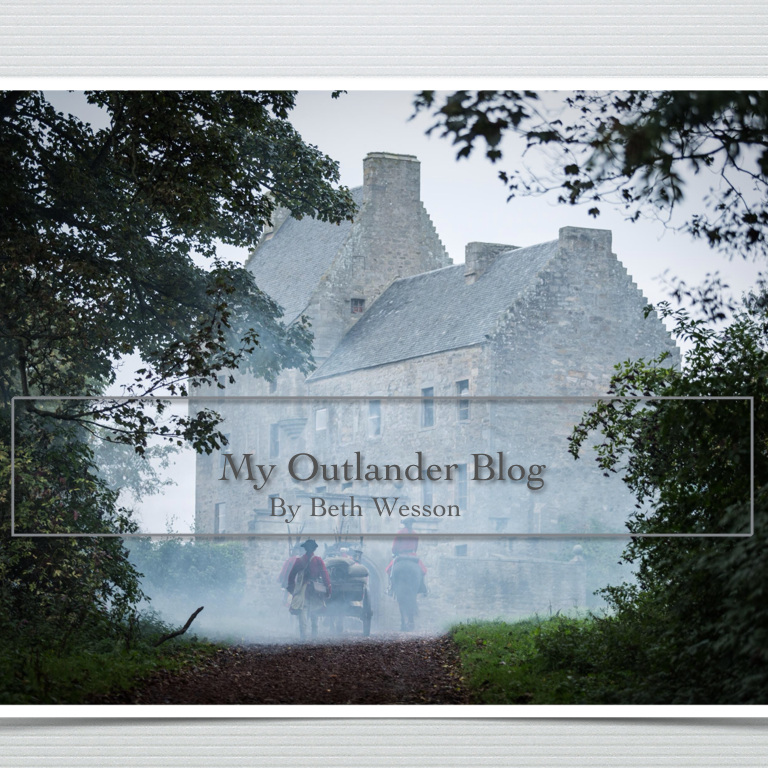 Oh..no they didn’t!…A reflection on Outlander episode 4.7 Down the Rabbit Hole – My Outlander Blog! While watching this week’s episode of Outlander, Down the Rabbit Hole, it didn’t take me very long to start laughing out loud, OMGing, and shaking my head. It wasn’t because the episode was particularly funny or that it was a bad episode, it wasn’t. I AM still wondering how they are going to fit in all the multitude of plots points and action left in the story and STILL do a good job. But, no, I’m snorting with laughter because of all the shite I know is about to erupt in the fandom. Leghaire and Frank? I’m laughing so hard right now I’m crying. It is almost as if the show’s creators said ” okay, now, let’s think about what would piss fans off and then…do THAT!”. Good Lord, almost half an episode of Frank? Snort. Balriggan and Leery instead of Lallybroch and what ever Murrays were still available? Double snort. Fans are gonna fan… and critique…and grab pitchforks … and…oh crap its gonna be an interesting week. I’m hoping I’m wrong…but I doubt it. I think there is going to be a lot of grumbling about this episode, but it shouldn’t be about whether they told a good story. They told a good story. It just wasn’t the one that fans were hoping for or expecting to see. No slamming of the pearls and calling out Loaghaire in front of everyone? Just, an “I believe you lass” let’s get you on a ship right now because Frank took up too much time drinking whiskey and eating scones? Once again,… giggle snort. This was one of those episodes where creative license took precedence over fan expectations. They decided to go this way and I could see where they were headed, but perhaps the main reason they told Bree’s back story can be summed up in two words…Tobias (I’m a fantastic freaking actor and I’m available) Menzies. He is a great actor, but a lot of fans are done with knowing what Frank was thinking or feeling. In fact, I think there actually were some “the roads are icy” celebratory parties the night of Frank’s demise on the show. There are lots of fans who were glad they were never going to see Frank again. I’m giggling again which I suppose could actually get me into some trouble because I’m pretty sure there are lots of fans out there that don’t find this one bit amusing! My PSA for the fandom is let it go, not a damn thing we can do to change it and in the grand scheme of life this is just an unfortunate Frank shaped blip. My only gripe with the episode’s Frank arc was that it was time-consuming and I’m not sure that it will pay-off in creating a more fully rounded picture of Bree. I’m hopeful, but…it was a lot of screen time that left very little time for an only child to discover she was part of a family. Bree’s back story with Frank was interesting, but in my humble opinion, her story would have been better-served by allowing Bree some time in her father’s childhood home with her new-found family. The information she received about her father at Balriggan needed to be off-set by time at Lallybroch. If she is going to feel conflicted let us have ALL the feelings. I liked the letter from Rev. Wakefield being the catalyst for Frank’s leaving Claire and how Bree finds out about the fire, but Frank was back in this episode to help us understand more fully why Bree might have issues accepting Jamie as her father. Frank was Brianna’s father much like Lord John is Willie’s. Bree is loyal to Frank and feels some guilt over his death. They were close. Her feelings for Frank will not change just because she meets her “real” father. And, if Jamie is jealous of Lord John raising Willie, it pales in comparison to the jealousy he feels about Frank sleeping with his wife and raising his wee bairn for twenty years. Bree comes to Jamie a product of her times and her upbringing by another man from another time. And, if the show has shown us anything it is that modern sensibilities can cause all kinds of problems when you go through the stones. I’m predicting everyone’s suppressed emotions won’t stay suppressed for long. I’ll admit that I felt sorry for Laoghaire. I found myself thinking “poor thing, she really did love him”. She was delusional about Jamie’s feelings for her and Claire was a convenient scapegoat…the witch, but then,…from sweet single mom just trying to make her way in the world with a broken heart to full-blown hell has no fury like a cray cray woman scorned in .6 seconds. There she is. To quote a friend, “No wonder Jamie left her”! (snort) I liked the change and think it added more to Bree’s conflicted feelings. I also love that Nell Hudson knows how much fans love to hate this “bish”, LOL. I felt this was her best performance. The parallels drawn between Bree’s experience living with one parent who loved more than the other were clearly drawn. Having a little red-headed girl feeling abandoned didn’t hurt either. Bree couldn’t help but think about her life and feel sorry for this family. I couldn’t help but feel the rise in Bree’s anger at her mother’s inability to love Frank as she felt he deserved. I had started to forget that these two at best had had a difficult relationship prior to Bree’s first trip to Craig Na Dun. Then to find out it is your parents, your father who doesn’t send the money, and your mother who is the home-wrecking Hoor? She has been told that Jamie left his family for Claire and Claire …left her… for this man who she is starting to think might not be the great guy her mother said he was. This girl is going to be carrying so much baggage by time she gets to Fraser’s Ridge she could take Clarence the mule’s place! Sophie Skelton is doing a great job of letting us see Bree’s head and heart. After she sees her father Frank’s haunt at the docks, she puts her chin up, smiles, and “soldiers on”, I saw both of her fathers and her mother in that performance. Let’s talk Roger! I LOVED his interaction with Stephen Bonnet! If anyone still had doubts about the casting, Ed Speleers and Rik Rankin just put them to rest. Roger’s modern sensibilities and moral outrage put him in real danger here. You cannot reason with a man who flips a coin because he had his own life or death determined by a cruel game of chance. Bonnet is damaged goods. Damaged goods with power. And he’s not likely to have a doctor and couch waiting to help him deal with his feelings. Nope, Stephen deals with his own trauma by subjecting others to the same. He has no empathy. Hence, why I was sitting on the edge of my seat wanting to snag Morag’s baby out of his hands. What is it about this show and great villains? Roger’s single-minded determination to find Bree was glorious. He doesn’t really explain to the viewer why he went through the stones, but the answer to Bonnet’s question is obviously,… yes. Yes, Roger thinks Bree is worth it. It was fascinating to watch Roger navigate this strange new world. Even with his knowledge of history, he was not prepared for the harshness and the realities with which he is living. I feared his moral outrage and Claire-like need to fight injustice was going to get him killed. Personally, I love watching everything about him adapt including his costume. By the end of the episode, he is looking less like a man out of time and more like a man of the time. Suffice it to say that the episode is aptly named. Bree and Roger might not to have accidentally fallen through the stones like Claire, but I would argue that they seem even less prepared for what they find than she was! I’m blaming those modern sensibilities again. How did Claire put it? It was like looking at Mars through a telescope. They have indeed landed on alien planet that looks something like their old world filled with people who seem like quaint versions of modern people. But, they really aren’t quaint and the rules are different and the reality is harder than they could ever have imagined. They pushed a little girl out a window y’all. This is gonna be good! The truth is despite my inappropriate amusement at the expense of fan disappointment, as I watched the latest episode, I was often smiling in delight. 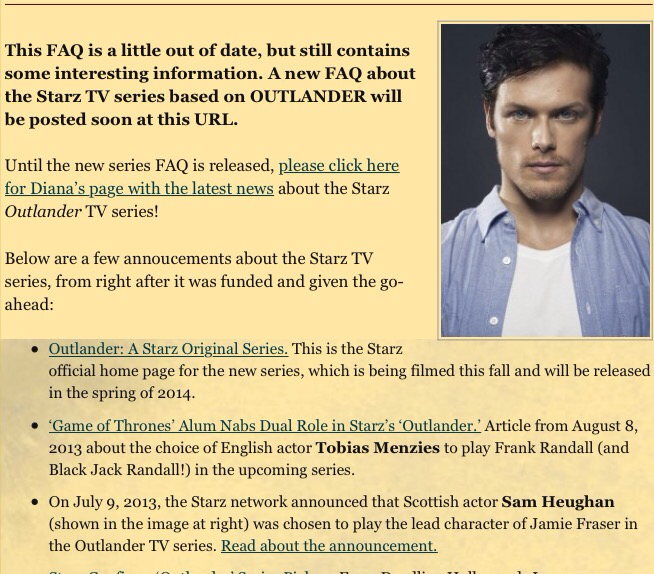 I’m not ready to “break-up” with Outlander over their choice to let us see more Frank and Laoghaire. They didn’t jump the shark here. It was their choice to depart from the book and let us see more of Frank and as book readers have suspected, he might have known more about the stones than we will ever know he knew. I’m not sure how I feel about him not sharing his knowledge, but it was a great addition to the story, as was the time at Laoghaire’s house. The scenario wasn’t far-fetched, it could have happened that way. After all, Balriggan is just a few miles from Lallybroch, right @Conniebv? (sorry inside joke) As I wrote earlier this season, if you are tuned in for all Jamie and Claire all the time, sorry about your luck. This story IS about Jamie and Claire, but is also the story of their children. Our couple are becoming the matriarch and patriarch of this story. They are at the center of an expanding cast of characters and story-lines. The story of Jamie and Claire is a great tale of a couple who are passionately committed to each other whose love conquers all. The same can be said of the story of Roger and Bree. The dynamics are different and so are the personalities of the couples. But, to answer Loaghaire’s query, yes, good men and for that matter, good women can still be found and quite a few can be found in Outlander. Great analysis as usual, Beth. I thought it was very creative to enhance our understanding of Bree’s background by pulling in info that is touched upon in later books via letters, etc. That’s how you turn words into visuals aka “adaptation” which many fans say they understand but don’t. Totally agreed w/Nancy Powell about fans who seem to enjoy “hating” the show for every change, or maybe they just enjoy being in a state permanent disappointment. Agree w/you totally about RR and ES as Roger and Bonnet. They just “are” those chacters–perfecto! Their choice for Lizzie Weams rather threw me at first as she is an opposite to the book descriptions, but then I reminded myself that seemingly “odd” casting choices have proved good before, so I just “tsk tsked” myself and am prepared to enjoy further! Ron Moore would say it was all about the baby. I miss his input.